Due to the close proximity of cars and people, parking lots are the scene of many pedestrian accidents. 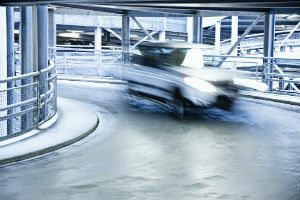 According to the safety group AAA, twenty percent of all car accidents occur in parking lots each year. The Edwards Law Firm is a well-established personal injury law firm, here to help victims of tragic auto accidents involving negligent drivers(http://www.edwardslawok.com/oklahoma-reckless-driving-accident-lawyer.html). Since parking lots are private property, in some cases police wont write a report. This leads to liability in parking lot accidents often being disputed, leaving it up to the drivers involved and the insurance companies to figure out liability on their own. So who is at fault when two cars collide in a parking lot, and how do you prove fault? This is where hiring an experienced attorney can be an asset, as an attorney we can conduct an investigation that will help to prove who is liable for the car wreck. Pedestrians and drivers often suffer from a false sense of security in parking lots. However, even though most of the car wrecks occur at low rates of speed, severe injuries can occur. In the event of an accident, never engage with aggressive drivers. Your first defense against aggressive drivers is to monitor your own driving carefully to avoid giving offense to other drivers. The experienced personal injury lawyers at the Edwards Law Firm have won over $100 million(http://www.edwardslawok.com/verdicts-and-settlements.html) in verdicts and settlements on behalf of injured people just like you. Known for getting results, our lawyers have decades of combined legal experience and work on a contingent fee basis. Our lawyers are aware of the tactics that insurance companies will often employ, and can help to prepare our clients for their questions. We are fearless in our representation and we don’t get paid unless you win.